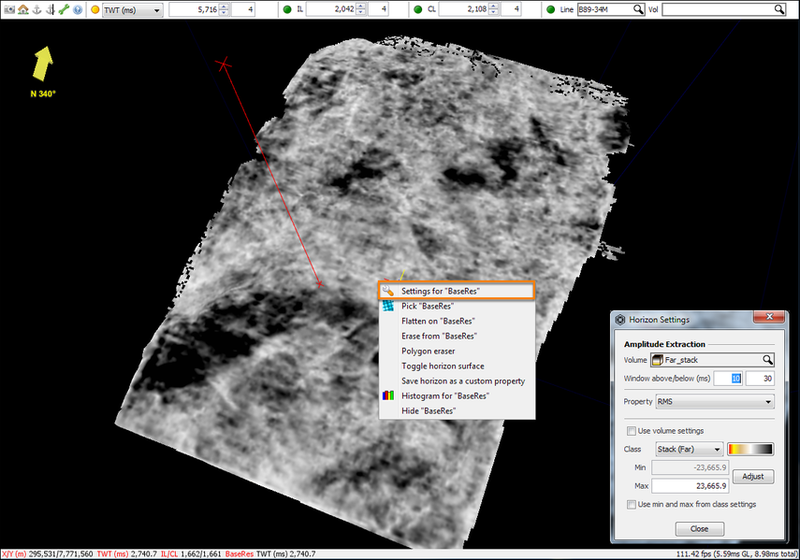 Many horizon options can be accessed via the 3D View directly. This page covers some of the most common tools you will find when you right click on a horizon in the 3D View. Amplitude extraction options have changed in the 3D View. Instead of opening the Control Panel to perform an amplitude extraction or change the parameters of a current extraction, this can now be done directly in the 3D View. Display the horizon in 3D View. Right click on the horizon and select Settings for "Horizon". 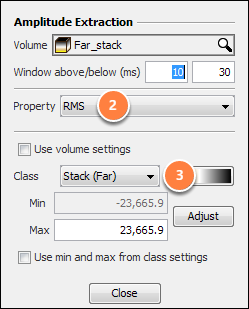 In the Horizon Settings window, select the volume required for the extraction and specify the above/below extraction window in ms. Note: 50ms above is 50ms above the horizon point, therefore -50ms in the above box would be 50ms below the horizon point. Select the property you wish to extract (see Using Horizon Properties for full details of properties available). The class used for display can be selected here, this will update based on the default class for each property. Tick Use min and max from class settings to use the class clip. Deselect to set an estimated or manual set a clip. Select a property. The class for that property can be changed by manually selecting a new class from the class drop-down menu. Click on the class colourbar to directly access the class from the 3D View. Right click on the horizon displayed in the 3D View. 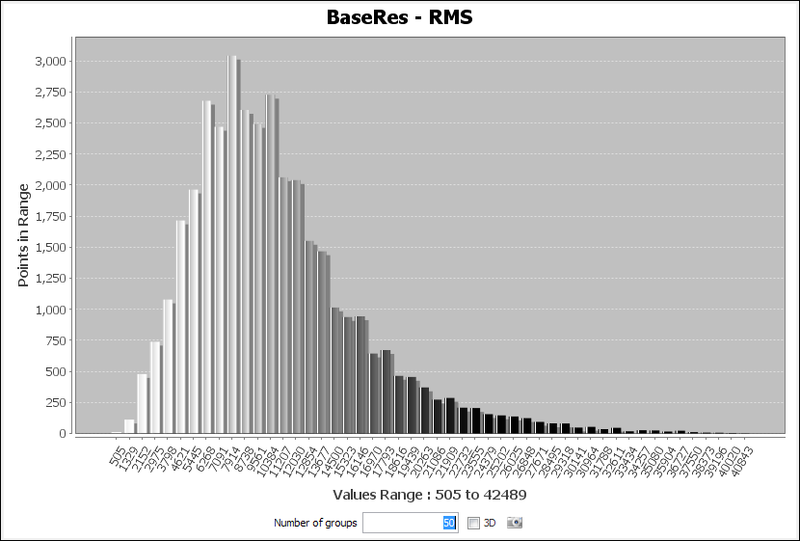 A histogram will be displayed based on the horizon property values (see Displaying Horizon Histograms). Right click on a horizon. Select Toggle horizon surface. The full surface will disappear. The horizon interpretation will appear as lines on displayed section views only. 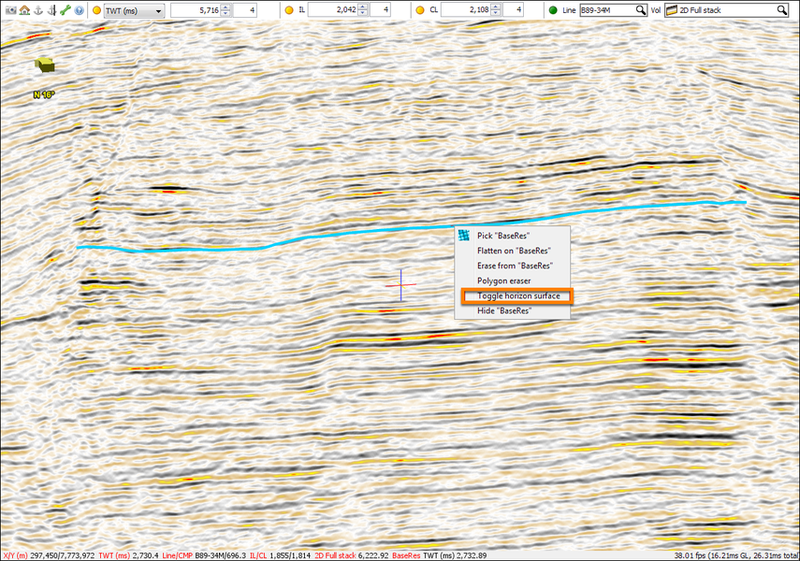 To view the horizon in surface mode again, right click on the horizon in section view and select Toggle horizon surface. Surfaces can also be toggled between surface and section view in the Control Panel.